Posted by Telangana Utsav in Andhrapreneurship, Congress, Economy, Polavaram, politics, YSR. 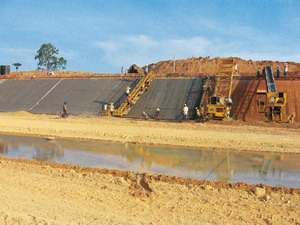 Hyderabad: Irrigation projects in Andhra Pradesh (AP) involving a combined outlay of Rs 1.8 trillion have come under the scrutiny of the Prime Minister’s Office (PMO) following corruption charges by opposition parties in the southern state. PMO has sought details of the engineering, procurement and construction (EPC) contracts awarded by the AP irrigation department, spelling potential trouble for the projects undertaken in the past five years. The Central Water Commission (CWC) wrote to the department asking for the details, which it said had been sought by PMO. A copy of the letter was reviewed by Mint. An official in the AP irrigation department confirmed that it had received the letter. Officials at the PMO couldn’t be contacted for comment on Sunday. Prime Minister Manmohan Singh is on a visit to Saudi Arabia.